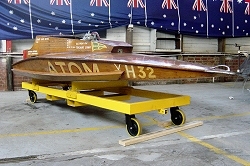 ATOM was built by Stan Hammond to a plan supplied by Carl Augustine of New Zealand and had a couple of races at Albert Park in 1955. 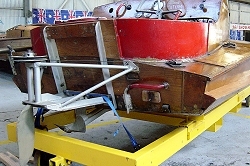 Later that season when it was making a “Kilo” run at Lake Cooper, it lost a 4’ x 2’ section of the bottom, with the expected result. Hammond found that every batten was fractured at every frame and decided to completely re-design the planing surfaces and rebuilt it. 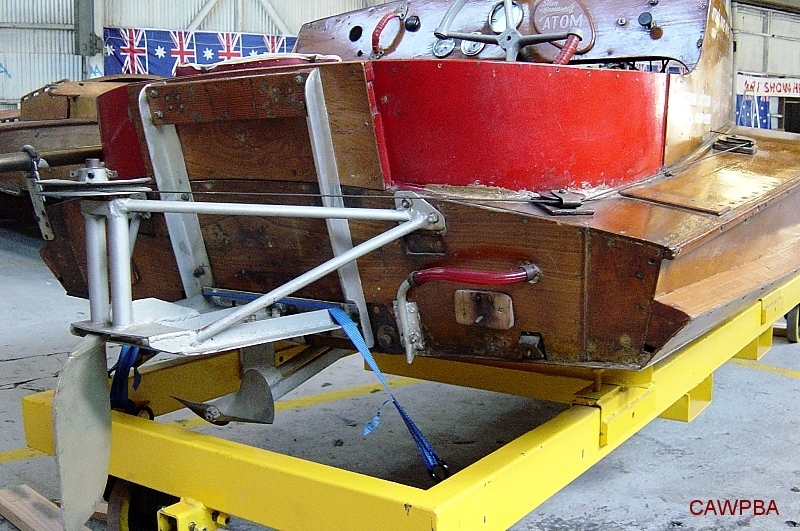 In this form it was first raced in 1956 and was an immediate success. It has had many modifications over the years and the speed has increased from about 35 mph to 60.8 mph. Over 15 years its competition results include:- 115 races, 35 Australasian, Australian & Victorian records and championships, with records in 75 c.i., 135 c.i. & 225 c.i. & championships in 75 c.i., 135 c.i. & 135 c.i. It is the only Boat and Driver ever to win the VSBC Points Aggregate Shield 3 times. 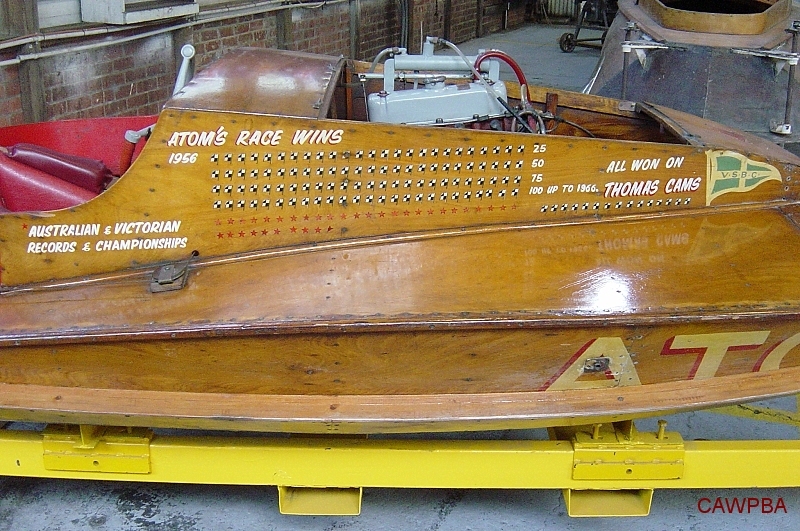 In its heyday, it won 22 scratch races out 22 consecutive starts without having one retirement. 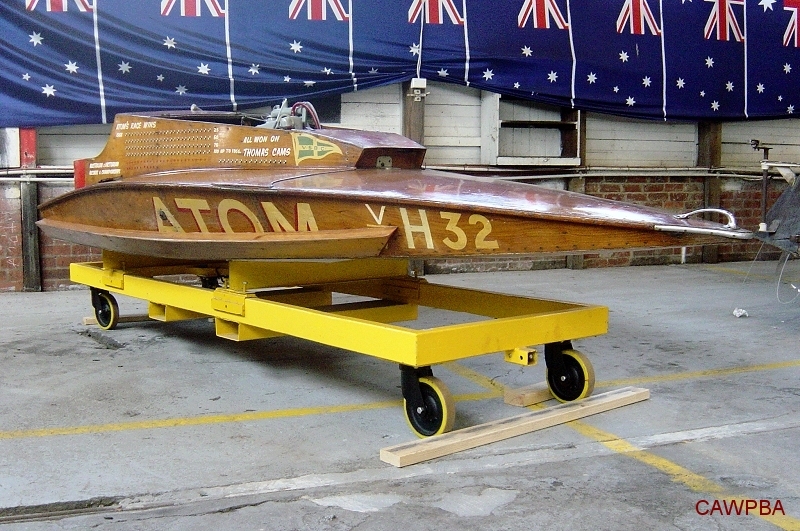 At the time of retirement, ATOM held the Australasian 75 c.i. 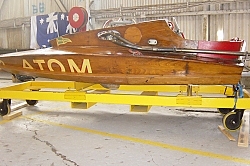 Displacement Championship, the Victorian 75 c.i. Displacement Champ. & Victorian 75 c.i. Open Champ. At its last Victorian Championship Meeting it won the Gold Medal for most points for any boat at the meeting. Another record that Hammond said he could have well done without was being thrown out of ATOM six times. 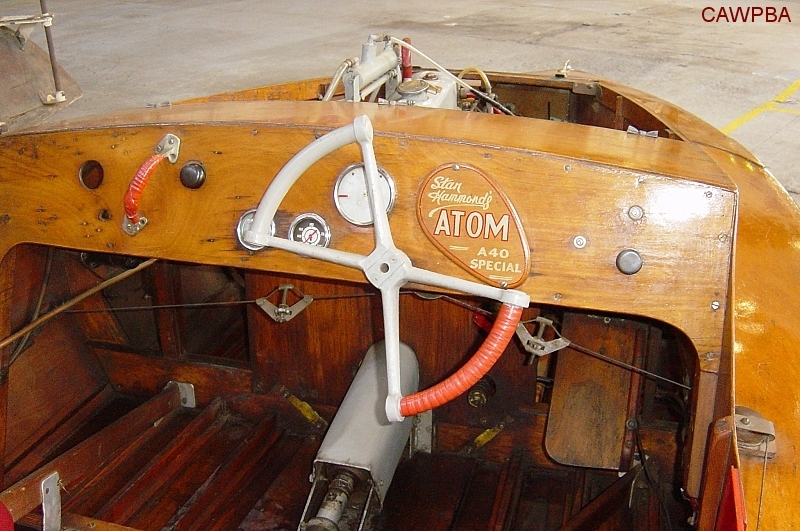 A few of the unusual features of ATOM are laminex covered planing surfaces, semi-surfacing propeller under the raised cavitation plate, a streamlining blade in front of the propeller shaft and being fitted with nitrous oxide injection for extra boost when necessary. Alcohol type Mobil 5 fuel. 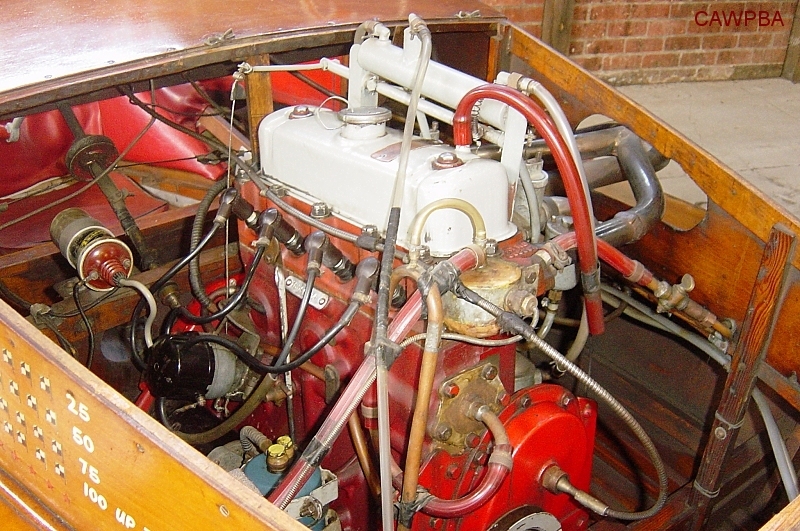 Nitrous oxide injection after 1963. Selected Oregon covered in coachwood ply. Laminex sheathed planning surfaces added in 1962 and non-trip chines added in 1967. 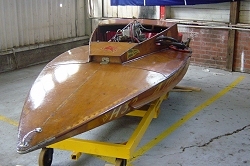 Hammond was quoted as saying as the reason he retired the boat was because he could not wear it out. The major factor was when the left turn rule was introduced. ATOM did not turn well to the left. 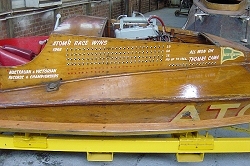 ATOM was donated to the Technological Museum in Victoria in 1970 and is now on display at Science Works in Williamstown in Melbourne.